teacher scored in the top 1% worldwide. Book a trial lesson now! One-on-one online lessons with a GMAT expert! Why is nativespeakers.ch the best option for your GMAT preparation? Top score. Your teacher scored 770 on the GMAT - in the top 1% worldwide! Experience. Your GMAT teacher has been teaching the GMAT since 2002, so has many years of experience getting students to the score they need. Steve also regularly writes GMAT / GRE blogs for The Economist. One-stop-shop. Your teacher is an English native speaker, and a teacher of mathematics and English. Save time. If you do your GMAT prep alone, it will take you longer than if you work with a GMAT professional. Flexibility. You can choose when and where the GMAT lessons take place. Whether you are a beginner or at advanced level, your lessons will be designed to fit your goals exactly. Simplicity. Book your GMAT preparation online in a few clicks, safely and securely. Starting GMAT lessons has never been as quick and easy! Guarantee. Take a no-obligation trial lesson to ensure that you have the right GMAT teacher for you. What does the GMAT online course include? 10, 20 or 30 hours of personalised live private tuition with Steve Keating via an online platform. Learn from a GMAT expert, who scored in the top 1% of test takers worldwide! Your own copy of some great GMAT prep material. Have questions answered outside of lessons by e-mail. Have your online sessions recorded and sent to you, so you can revise what you learned. Who will be my GMAT teacher? GMAT Combinations Formula tutorial with Steve Keating. Steve has been teaching the GMAT since 2002. He scored 770 on the GMAT, a score that is in the top 1% worldwide. He also scored in the 98th, 98th and 83rd percentiles for the 3 sections of the GRE he completed. Steve has a Master of Arts in Political Science and the CELTA (Certificate in English Language Teaching to Adults) from Cambridge University. He has taught in a range of settings from one-on-one all the way up to large seminars in university settings. His love of teaching shines through in his lessons. You can rely on his experience to provide the right guidance. How do I get started with English lessons? It’s very simple! We recommend starting with a no-obligation trial lesson before you decide on a package. STEP 1 Book your no-obligation trial lesson. STEP 2 Meet your teacher at your trial lesson. STEP 3 Decide on the best package of lessons for you. Or contact us if you have any further questions. How much do GMAT online lessons cost? When will my GMAT lessons take place? You can enjoy the flexibility of online GMAT lessons! We have a track record of success with online GMAT lessons. Use your valuable time more effectively and make GMAT prep more convenient for you. Get a flexible solution. You don’t have to keep to any course dates, and you can start straight away with your GMAT preparation. Benefit from our many years of experience in preparing people for this demanding test by getting all the tips and tricks you will need. Manage your time well. This may sound simple, but you would be amazed at how many people come to me after their test and say that they did not manage their time in the best way possible. There are many steps to this, but the simplest is to realise that you have approximately 2 minutes to answer each question – 31 maths questions in 62 minutes, and 36 verbal questions in 65 minutes. The easiest time strategy is to keep to 2 minutes per question. Know when to guess. Nobody needs a score of 800, so everyone can get some questions wrong. The key is to be strategic about which questions you give up on and guess. I never gave up on a question I knew I could get the answer to in a reasonable period of time, but if the question will take you five minutes, it is time to move on to the next one. More guidance will be given on this important aspect of the test during lessons. Use the best material. GMAC (Graduate Management Admission Council) administers the test, so their material is the best preparation material. 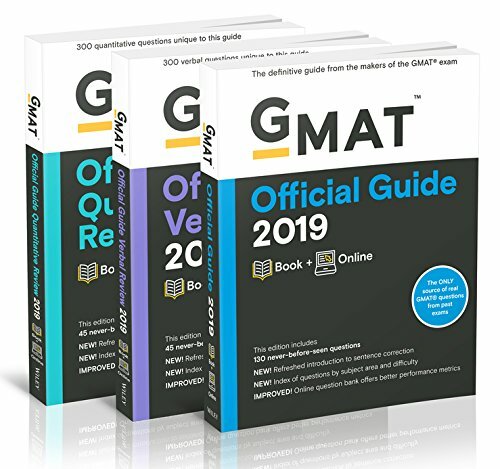 Use The GMAT Official Guide. Do the test at the right time. To score highly takes preparation time. If you take the test before you are ready, you will be disappointed. Use the free computer-based GMAT tests provided by ETS to assess your level after you have done some preparation. Concentrate on improving all areas of the test. Some people are better at maths; some are better at English. It doesn’t matter where your points come from. There are improvements to be made in all areas of the test. You can find more useful tips in our nativespeakers.ch blog! Get our GMAT teacher to make sense of all this! Download free software for GMAT practice tests. What is the best material for GMAT preparation? 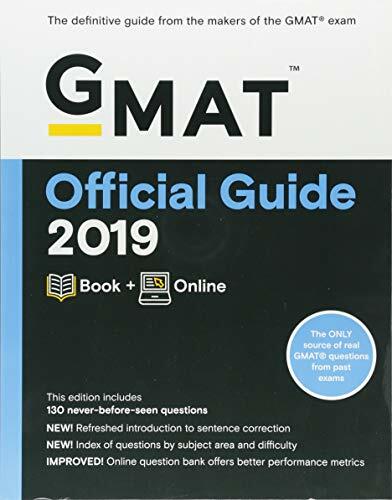 We recommend the GMAT Official Guide to prepare for the GMAT exam. Grow to love GMAT mathematics!